Champion Aerospace developed a Lycoming Piston Engine Solid State Ignition System, CH42PR20A, in 2010 for the Light Sport Aircraft program. 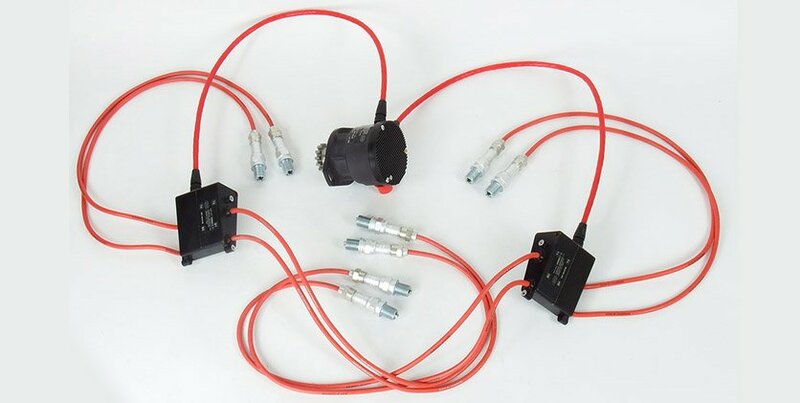 This ignition system design can be tailored for use on experimental aircraft as well. At the system level the design consists of a control module assembly and two capacitive discharge module assemblies. Both assemblies are packaged within anodized aerospace grade aluminum housings for mechanical strength, environmental and EMI considerations. The design is interchangeable with the traditional magneto and has two redundant electrical power and control channels. The unit is powered at low RPM by aircraft bus power and then is self-powered at the targeted internal permanent magnet alternator assembly (PMA) takeover speed to avoid burdening the electrical bus during flight. 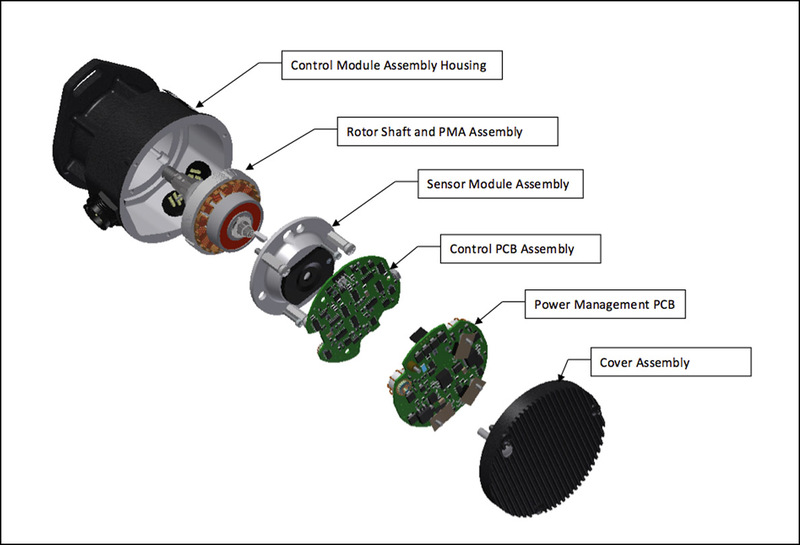 The control module contains two surface mounted PCB assemblies, traditional style magneto shaft and bearing assembly, a sensor assembly and the PMA assembly. 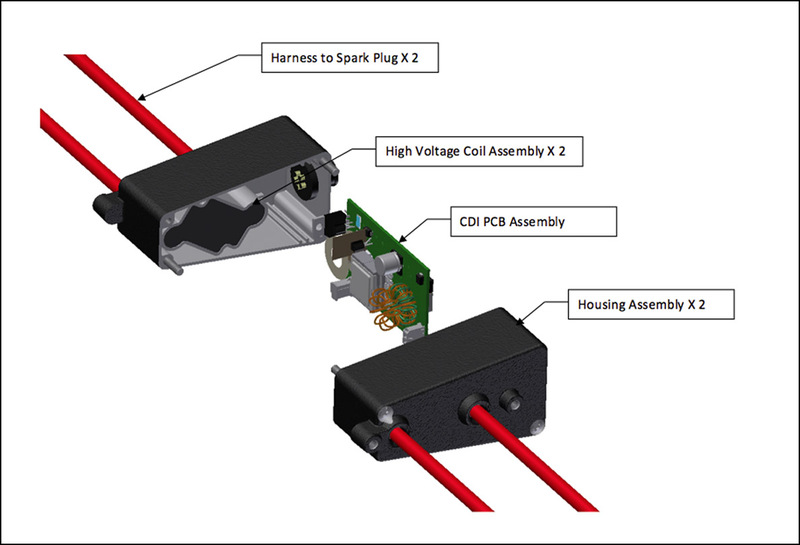 The capacitive discharge ignition (CDI) module assembly receives a low voltage input from the control assembly and steps the voltage up to traditional magneto output levels. 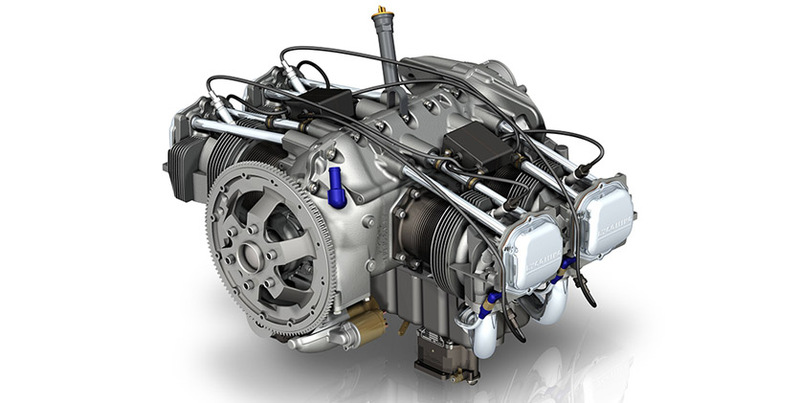 The delivered energy can easily be configured to customer requirements for improved ignition performance. The high voltage harness assemblies are compatible with traditional harness designs. Any Champion Aerospace Spark Plug Assembly can be used with this ignition system design. Champion recognizes the general aviation industry’s desire to move towards electronic ignition solutions for piston powered aircraft for improved reliability, safety and reduced operating and maintenance costs. As the pioneer and market leader in aviation ignition solutions, Champion has embarked on its next Solid State Ignition System design efforts that will provide improved performance, reliability, safety and cost of ownership for existing and future platforms.